Stand out in style with the hurricane wall lamp from RV Astley. Architecturally inspired, the striking base features a rectangular casing to encapsulate the lamp within. 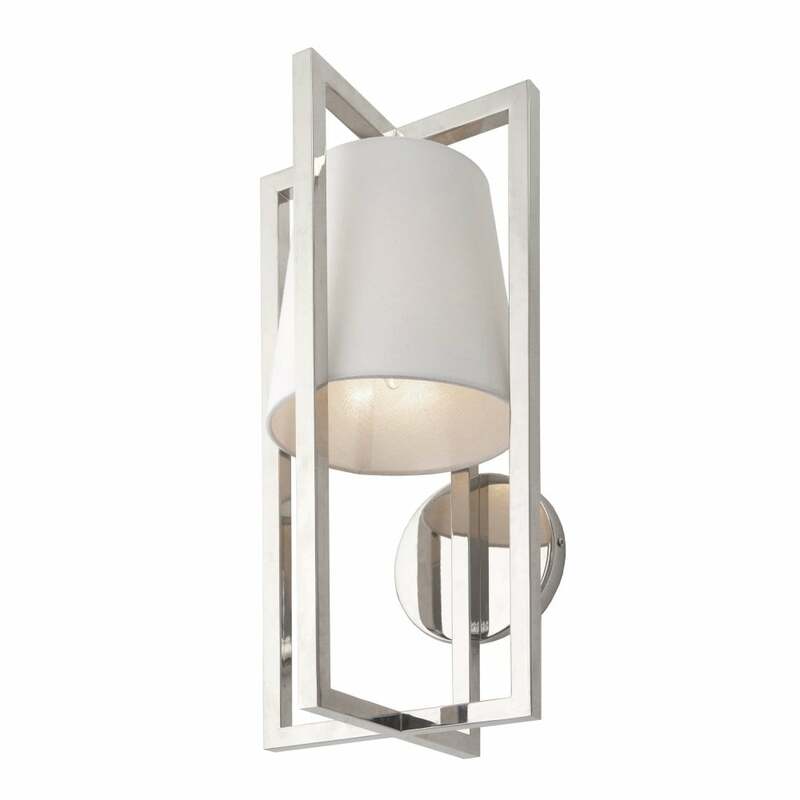 Suspended from the polished nickel geometric casing is a beautiful cream shade. A polished cube base secures the contemporary design together. The contemporary look of the hurricane wall lamp would lend itself to a minimalist modern interior. Style in the living room for a sophisticated lighting solution. Combine with the hurricane table lamp to your bedroom scheme to achieve a simplistic yet modern look.